Sunglass fanatics will be happy to hear that a pair of new limited-edition Ray-Ban sunglasses featuring Mickey Mouse will arrive at select locations throughout Disneyland and Walt Disney World Resorts on December 8. 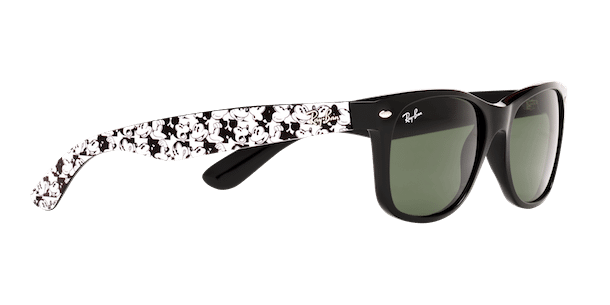 The sunglasses feature the classic Ray-Ban Wayfarer design and has been updated with a cool Mickey Mouse print on the outside of the temples and a “limited edition” engraving on the inside. The sunglasses will retail for $190 plus tax with a purchase limit of two pairs per guest. This will be the perfect Christmas gift for any Mickey Mouse fan! Christmas Cult Classic “Gremlins” gets the Tiki-mug treatment! FAV FIVE: Let these Holiday novelty albums set an obscure soundtrack to your Christmas season! Soooo cool.i want it but I won’t be able to Disneyland until summer . ????? Oh my Mickey! Santa needs an Elf assist on this gift!!! ?? ?